On March 5, for the first time, YSL’s in-house publication Manifesto will be distributed in Los Angeles. 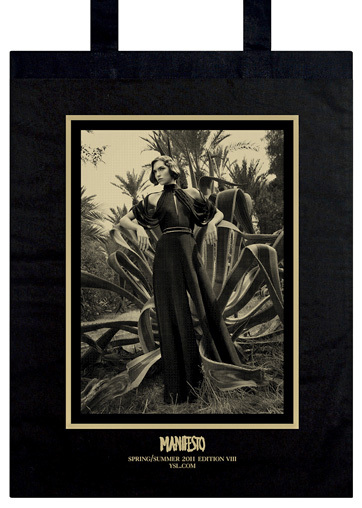 The city will get 2,000 copies of the cult publication, the design house’s eighth installment, which will come in a custom-designed tote bag featuring it-model Arizona Muse. For an exclusive interview with Stefano Pilati providing a first look at the publication, see The New York Times Style Magazine article here.